Dr. Marisela Dominguez, MD is a Doctor primarily located in Gainesville, FL, with other offices in Spring Hill, FL and Gainesville, FL . She has 26 years of experience. Her specialties include Family Medicine. She speaks English. The overall average patient rating of Dr. Marisela Dominguez is Poor. Dr. Marisela Dominguez has been rated by 4 patients. From those 4 patients 2 of those left a comment along with their rating. The overall rating for Dr. Marisela Dominguez is 2.0 of 5.0 stars. This doctor is very poorly educated and makes very poor decisions which hospital administrator Dr. Guzic is reviewing the loud mouth doctors comments. Do not end up under her care under any circumstances . It was the "luck of the draw" that I ended up with Dr. Dominguez in the Emergency Room. When I was discharged she wrote SIX prescriptions for me, with instructions to call her with questions. I had no way to reach her even though I did have questions. No phone number was given. It took me several days on my computer to find her. Even then, only thing I've found so far is either a request that I write a rating or else that I subscribe to something to read a report on her. I'm not at all impressed with this doctor. 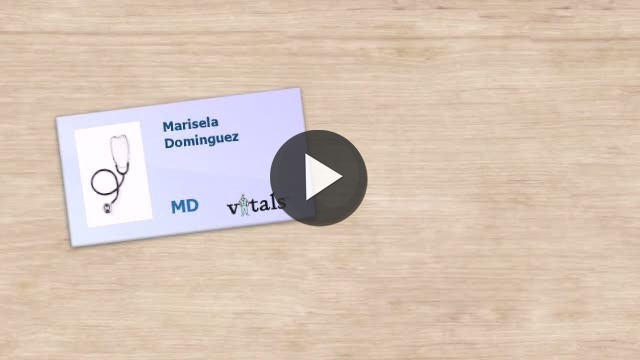 Take a minute to learn about Dr. Marisela Dominguez, MD - Family Medicine in Gainesville, FL, in this video. Dr. Marisela Dominguez is similar to the following 4 Doctors near Gainesville, FL. Have you had a recent visit with Dr. Marisela Dominguez? Select a star to let us know how it was.